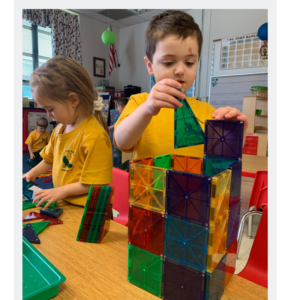 The underlying instructional strategy in early education throughout preschool is the use of organized and free-play activities that are intended to provide opportunities for the child to interact, explore and relate successfully in his/her environment. 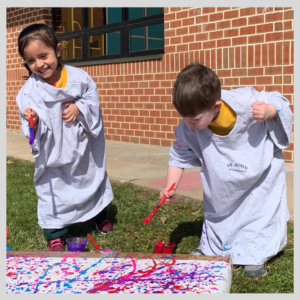 The preschool program uses multi-sensory hands-on learning approach to teach fine motor skills, auditory and visual learning using center time, books, songs, technology, and art. 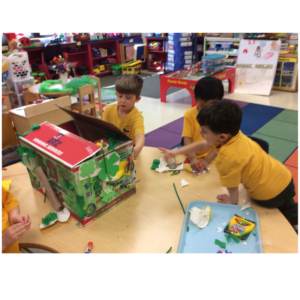 Free play, story time, show and tell, music, crafts, and outdoor play fill the students’ day. Children attend prayer services, participate in community service projects and are provided many cultural arts activities. Parents are confident in knowing their children are being educated in a comfortable and nurturing environment which provides an educational curriculum that allows children to achieve their highest potential. St. John School Pre-Kindergarten program is based on developmentally appropriate, research based curriculum. The Macmillan/MacGraw-Hill Little Treasures program is used as the basis of the curriculum. It is designed to prepare four year old children for the the academic and social demands of Kindergarten. 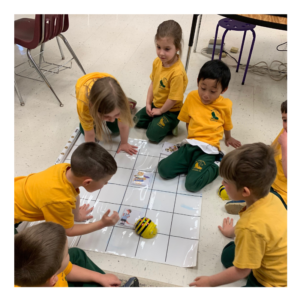 Key features include Language development, pre-reading skills; phonemic awareness, letter recognition, print awareness, social/emotional development, and an integrated curriculum that includes Science, Math, Social Studies, Music, and Art. St. John School follows the Archdiocesan Standard for Early Childhood Education Course of Study. Religion is incorporated into the school day through prayer, bible stories, and the use of Loyola Press God Made the World. St. John School offers Pre-Kindergarten Full and Half Day options. In the morning, instruction focuses on age appropriate academics including Spanish, Art, Computers, Music and Physical Education. In the afternoon, instruction is focused on directed play, quiet time and various age appropriate group activities. Five days - Morning: 8:30a.m. - 11:30 a.m.
Five days- Full Day: 8:30a.m. - 3:00 p.m.
© 2019 St. John Catholic School.